Hackney v. First Alabama Bank, 555 So.2d 97 (Ala. 1989); Selma Medical Center v. Fontenot, 824 So.2d 1463 (Ala. 2001). Joe's practice is concentrated on the representation of creditors in complex commercial matters, both in bankruptcy court and state and federal trial courts. He has extensive experience in chapter 11 reorganizations and commercial loan restructuring. Joe’s primary clients include commercial banks; equipment lessors; retail shopping center owners; healthcare companies; insurance companies; general contractors and manufacturers. Representative cases include: Hackney v. First Alabama Bank, 555 So.2d 97 (Ala. 1989); Selma Medical Center v. Fontenot, 824 So.2d 1463 (Ala. 2001); Branch Banking & Trust, et al v. Nichols, (2015 WL 1877666) (April 24, 2015). While in law school at Samford University, Joe was a member of the Cumberland Law Review (Associate Editor, 1985-1986, Writing Editor, 1986-1987). He holds a Bachelor of Science from the University of Alabama, 1980. Joe is a member of the American Bankruptcy Institute and serves on the Advisory Board of the Southeastern Bankruptcy Workshop. 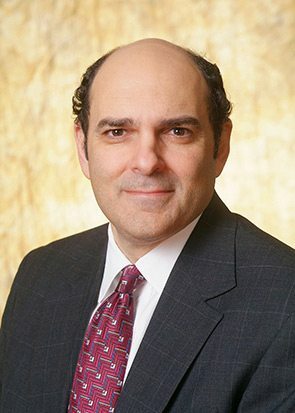 He is also a Director of the Southeastern Bankruptcy Law Institute. Joe is a past Director for Alabama Appleseed, Inc., a non-profit organization that seeks to insure equal access to justice. He has lectured on such topics as Distressed Condominiums; Selected Topics in Bankruptcy Law; Commercial Loan Workouts; the Fair Debt Collection Practices Act and the Fair Credit Reporting Act. Joe is listed in The Best Lawyers in America in the Bankruptcy and Creditor-Debtor Rights categories. Since 2011, Joe has been named as a “Leader in their Field” in Bankruptcy & Restructuring by the highly regarded Chambers USA, a legal directory featuring client-led intelligence on America’s leading lawyers.